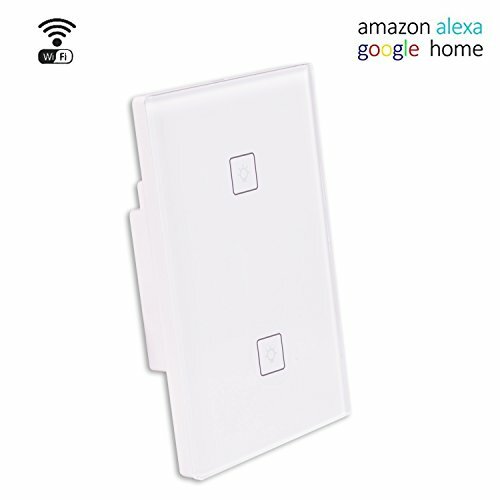 If you are already updating your switches to move to “smart” options, one thing you should consider creating physical buttons for smart scene lighting. 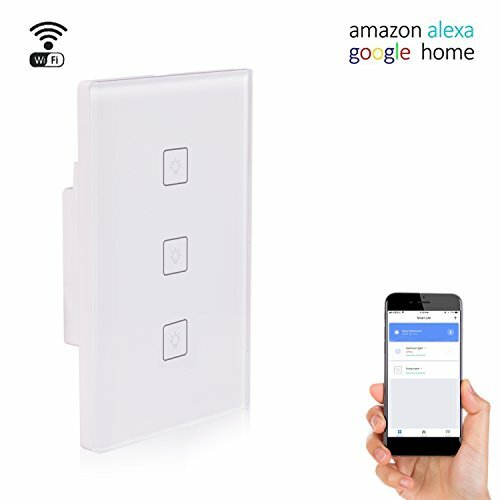 The switches we love to use come in 1, 2, and 3 switch varieties, and while it might be simplest to just replace your single dumb switch with a single smart switch, you may want to consider other options. The switches we recommend use the Smart Life app for integration, and it has a unique scenes capability that can deliver some very cool features without having to build any integrations using IFTTT or Stringify. Simple, contained, and it works. Smart scene lighting is easy to implement! 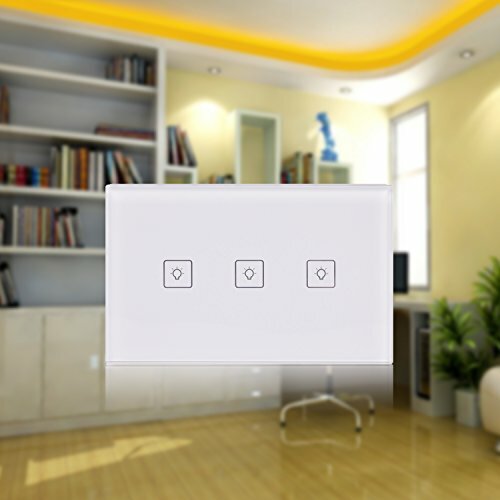 These switches are often on sale and are simple to install (see our post on Easy Smart Switch Updates for info). I have a mix of the 1, 2, and 3 switch units in my house and in several places I’ve installed units with more switches than I am replacing to give myself some extra smart scene lighting controls. The only difference from our original post on installing switches when you have one or these multi-switch units and only one actual switch to wire is that you will leave the additional switch wires empty. Connect the switch you need to wire in to the Load/Live 1 port and make sure you properly connect the common Live and Neutral ports as well so that the switch is powered properly. Then go through the normal setup and configuration of the switch using the Smart Life app on your phone or tablet. 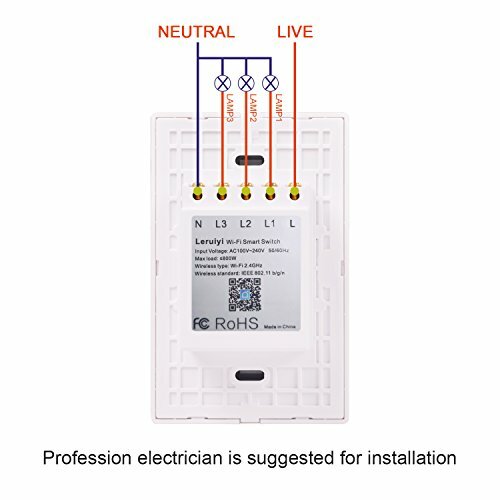 You will see that even though you only wired one of the actual switch ports, the other switches light up as well, and all two or three switches are available to you in the Smart Life app. Now we’re ready to configure our smart scene lighting using just the Smart Life built in features. I always find it easiest to name each of the switches within my main switch which you can do by tapping the pencil icon below the switch trigger in the app. The one thing I don’t like about the Smart Life app is that the length of this field is ridiculously small, so I wind up with some very cryptic short forms in the names of my switches. In this case, I have lights at the top and bottom of my basement stairs which are both triggered from individual switches at the back door at the top of the stairs. There is no way to turn on (or off) the lights from the bottom of the stairs which can be a bit of a pain. Immediately at the bottom of my stairs, however, is my laundry room. While I only needed a single switch to control the lights in the laundry room, I installed the two switch unit to give myself a spare trigger for smart scene lighting in the Smart Life app. The “Laundry Rm” switch is actually wired to turn on and off the lights in the laundry room. The “D. Back Lts” switch has nothing wired to it, so with no configuration it will actually do nothing. My use case for this setup is that I would like the second switch in my laundry room switch to trigger BOTH the upstairs and downstairs landing lights on the stairs to my basement off or on from the basement location. To do this I will need to create two scenes in the Smart Life app (which are really just the same, but exact opposite). First I will create the “Stairs Lights On” scene which will turn on both of the two target switches when I press the switch in the laundry room. Under “Step 1: Add a condition” I add the condition that the Laundry Room “D Back Lts” switch is ON. Then under “Step 2: Add a task” I add two actions, one to turn on the basement landing “B. Landing” on, and the second to do the same for the landing at the top of the stairs “D. Landing”. Save your scene, and you are ready to go to turn the lights ON from the basement. No external integrations, no IFTTT, and no Stringify flows. The second scene you need to create is identical to the first, only instead of triggering the lights on when the switch is turned on, you trigger the lights off when you turn the switch off. You’re all set. Give your new smart scene lighting a try, and then you can start to think about other use cases where you might want to make use of this. Want a touch switch to trigger the “movie lights” scene in your entertainment room? Now you don’t need to reach for your smart phone or call out a voice command to Google or Alexa, just tap the switch you have set up with your scene. While we didn’t use it for this use case, you can also use these empty switches to trigger IFTTT and Stringify flows as well. Perhaps having a switch that starts your car without you having to find your key fob or open the Viper app on your phone? I’m sure there are dozens of other use cases for these “extra” switches, and I’d love to hear yours!